Nashville, TN (Restaurant News Release) On Tuesday, Sept. 18 — National Cheeseburger Day — Back Yard Burgers honors this icon of American culture with a special offer: a Back Yard Burgers Classic with Cheese and regular-sized beverage for only $4.99. A Back Yard Burgers Classic with Cheese uses 100 percent Black Angus beef, which is flame-grilled to achieve that signature back yard taste. Then, it’s topped with your choice of American, Cheddar, Swiss, or Pepper Jack cheese. 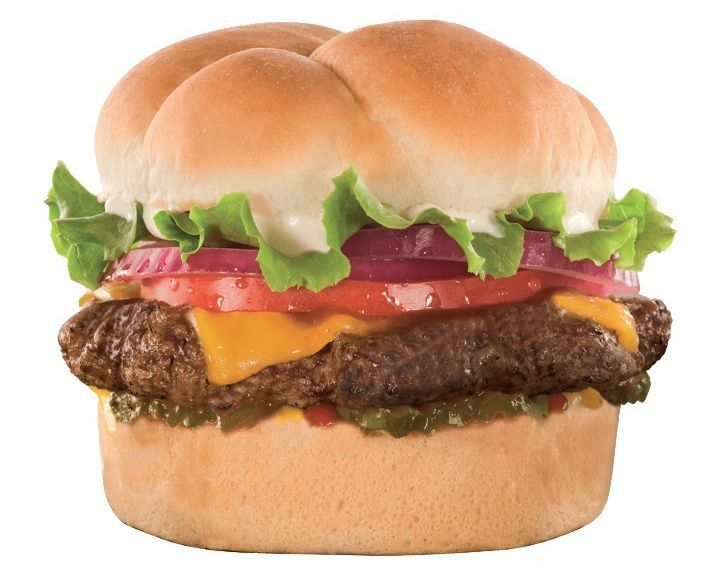 All Back Yard Burger Cheeseburgers are made to order, and topped with your choice of lettuce, tomato, pickles, onion, ketchup, mustard, and mayonnaise. Though many different people lay claim to being the first to top a hamburger with cheese, the cheeseburger likely originated in the 1920s at a sandwich shop in Pasadena, California, when Lionel Sternberger dropped a piece of cheese onto a burger sizzling on the grill. Since then, Americans coast to coast have been consuming this cultural food icon. On Tuesday, Sept. 18, participating Back Yard Burger locations will be offering a Back Yard Burgers Cheeseburger and regular-sized beverage for $4.99. Be sure to hashtag your experience with #NationalCheeseburgerDay and #BackyardBurgers. Founded in 1987 in Cleveland, Miss., Back Yard Burgers is a better-burger concept that takes pride in its uncompromising commitment to providing custom, flame-grilled variety with care. The company’s franchise partners and employees are passionate about offering the freshest ingredients and to serving the same high-quality food and hospitality that they would offer to family and friends in their own backyards. Along with offering made-to-order 100 percent Black Angus burgers, Back Yard Burgers’ menu also includes a variety of grilled chicken sandwiches, fresh salads, and hand-scooped milkshakes. Today, the brand operates 51 locations in 11 states. Back Yard Burgers is a strong supporter of Share Our Strength – No Kid Hungry, whose goal is to end childhood hunger in America. For more information visit: www.backyardburgers.com.